Chancy at Snappy’s says Smith Lake still has some ice 4-5 inches and some good fishing on smaller pike. Rodgers Lake, fishing pretty good with reports of 4 inches of ice for grayling and cut throat. Island Lake, the ice still not the best and a little shaky. Reports of ice on the Lower Stillwater. The Thomson Chain of lakes have had mixed reports on ice. Chancy was at McWinneger Slough last week and pulled a lot of bass 12-14 inches. Duck Lake’s had some good reports also. Leonard from Robert’s Bait and Tackle says little bit of ice out there. Nylon has 5 inches, Willow Creek has 4 and Bynum has 6, Francis has 6 on the East end with the best ice, on Tiber Ray’s Bay & Miller’s Slew have had some reports. Baileys has 8 inches, Arod has 5, Fresno 4 inches in the bays, and Piscon has 6 inches. Holter is still wide open boats only, If you have any questions or need rod & reel repair call Leonard 406-454-1877. Shelby from Rocky Mountain Supply in Dillon says been busy with the holidays. There been a quite a few ice shacks heading out on Clark Canyon Reservoir. 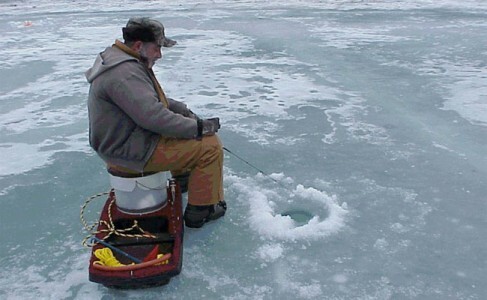 Clark Canyon Reservoir has an Ice Fishing derby in late February. If you’re in the Dillon area, stop into Rocky Mountain Supply for more information or call 406-683-2308.